Leave it to Beyonce to rock the most awesome Storm cosplay I have seen. 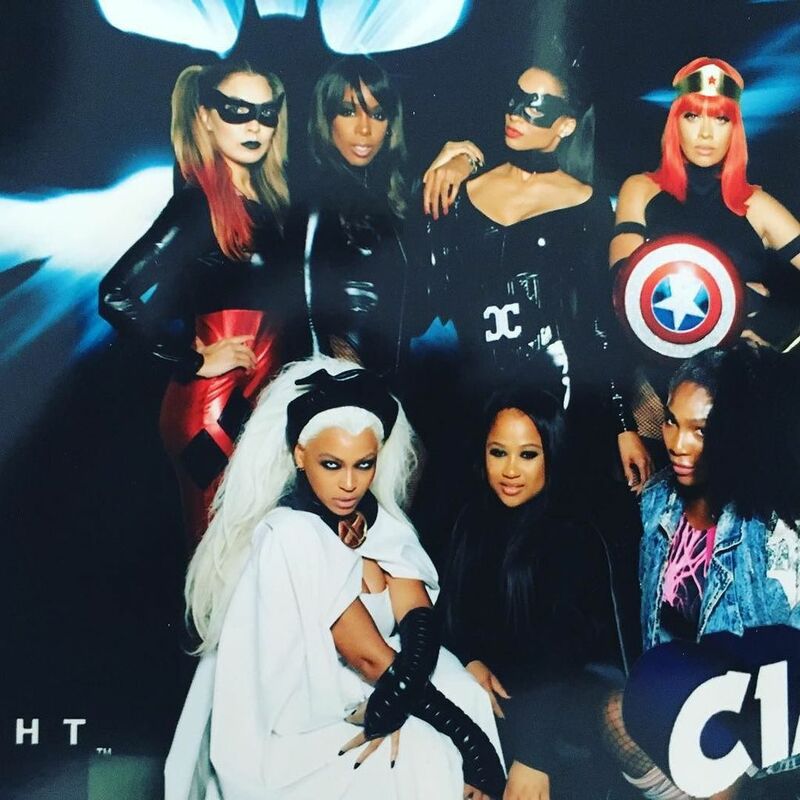 Beyonce Knowles attended Ciara's 30th super hero themed birthday dressed as the X-Woman Storm. She went all out in her look that included white hair and contacts. What is really funny about this to me is that fans have thrown out Beyonce's name for Storm for years and there is a ton of fan art depicting her as the character. Now she has given us a good idea of how she would look as the character. Here you can see Serena Williams as Jubilee, Ciara as Catwoman, Lala as Captain America/Wonder Woman, Kelly Rowland as Black Canary. However drawing everyone's eyes is Beyonce as Storm.